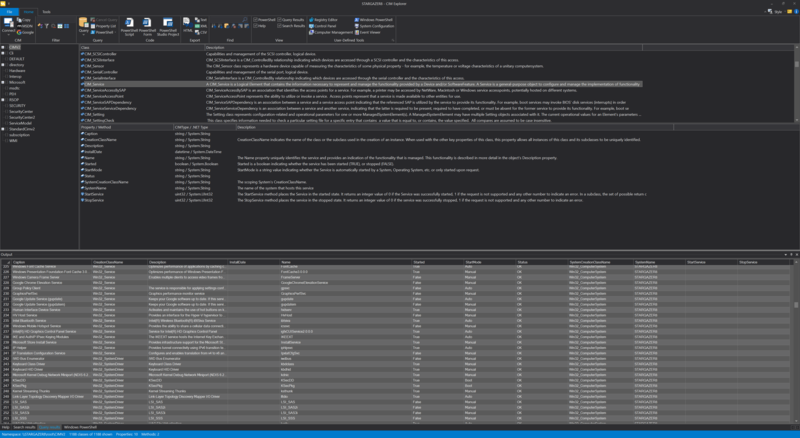 WMI Explorer 2019 is the next generation tool for exploring the vast universe of the Windows Management Instrumentation database. The WMI database represents an extensive repository of information about your servers and client machines which, as a system or network administrator, you need to utilize every day. 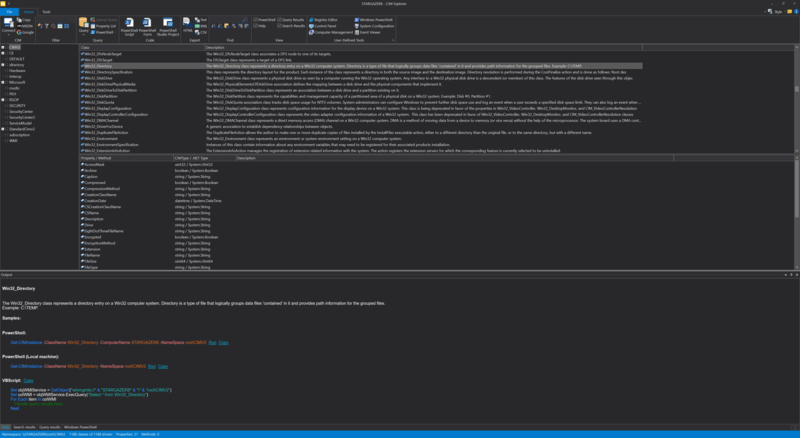 Use WMI Explorer’s Windows PowerShell code generating abilities to create code for queries or even a GUI app with just a few clicks. 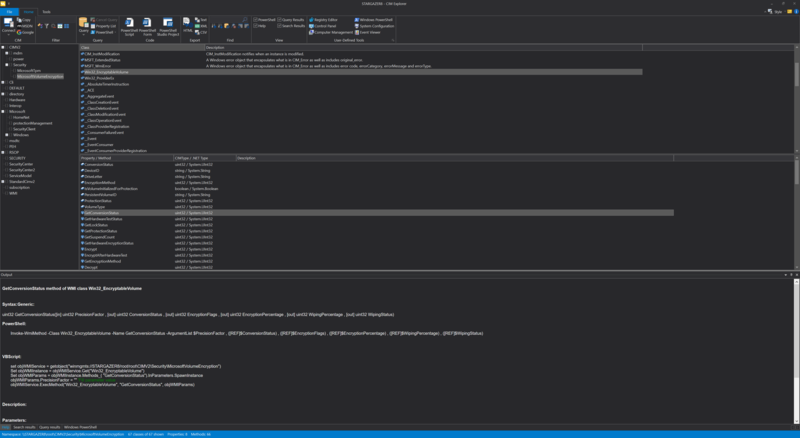 Remote WMI database structure information is cached locally, so there is no delay when navigating to the WMI class and property you need to access. The data is, of course, queried directly from the remote computer. WMI Explorer’s search and filter abilities will allow you to find what you need quickly and easily. Live PowerShell links in the documentation for WMI classes and properties enable you to run a sample query with a single click. 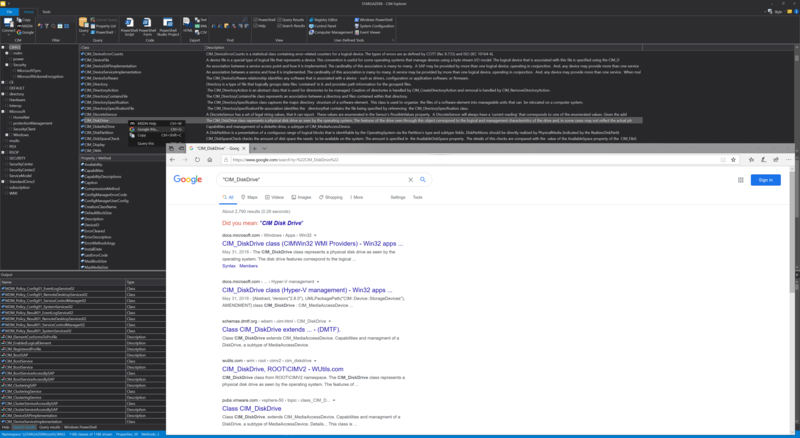 Connect to any machine in your network and browse, search or query its WMI database. All namespaces, classes, properties and methods are cached locally so you can browse even when you are not connected. You have full access to all the help and documentation that the WMI provider stores in the database. A large number of options enables you to search any particular class or namespace as well as the entire database. Limit the search to the elements you need, or search everything. Advanced filter options allow you to limit the classes you see, making browsing and scanning for the desired objects much easier. Custom filters can adapt the current view to your needs at any moment. Browsing properties and methods of a class is not always enough. The underlying data can be just as important. The multi-threaded query functions allow you to query by class, specific properties or with custom WQL expressions. Getting the PowerShell code for your query is just a click away. 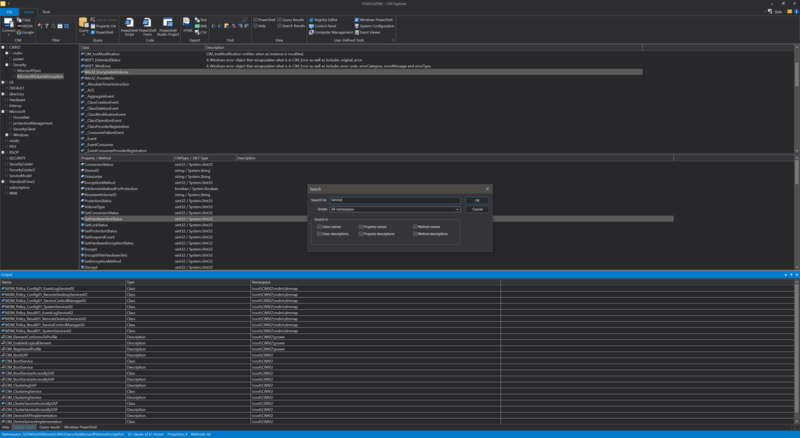 WMI queries can yield a large amount of data that needs to be processed in other applications or tools. 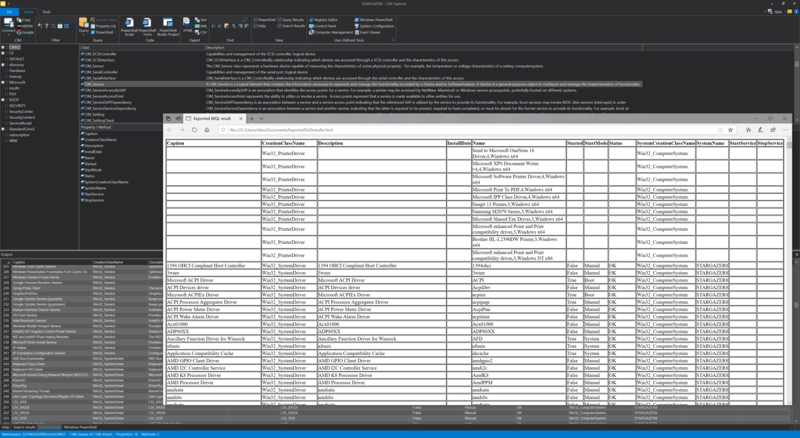 WMI Explorer 2018 provides you with four common file formats to export your query results: HTML, XML, CSV and plain text. For each class or property, you automatically get the correct code to query your selection in PowerShell or VBScript. 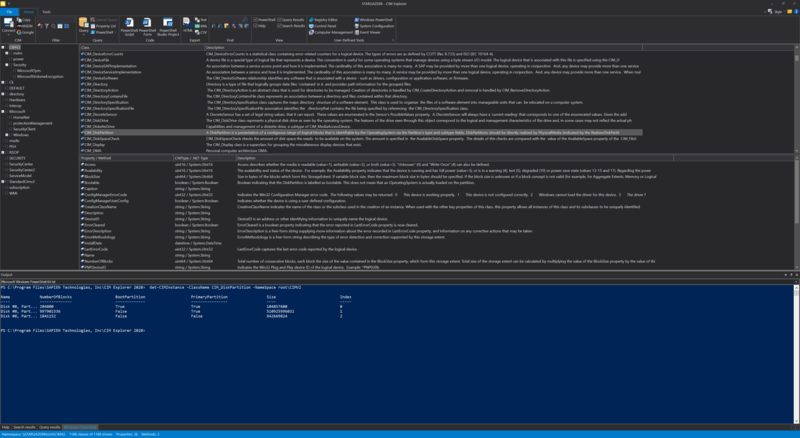 WMI Method calls are shown with PowerShell sample code specifying parameters in their correct order. All that information is displayed alongside the documentation for the object. 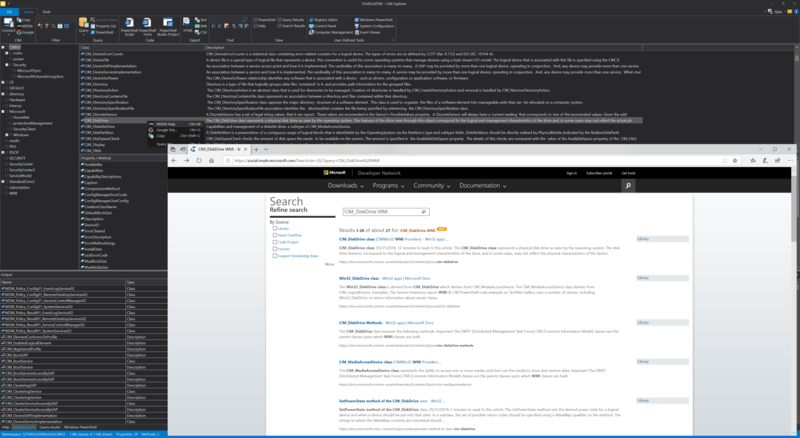 Just bought WMI Explorer and found a property I was *sure* wasn't in WMI after an hour of googling in 30s! Great product!